This cup is available in two sizes, measuring 3.5" or 5" diagonally across the top. Comes in multi, cobalt, spring green, cherry, turquoise, emerald and red/orange. 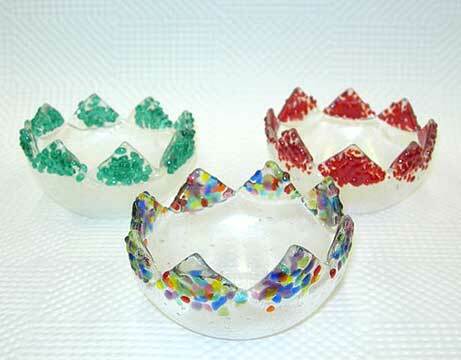 Tulip Cups & Bowls, Confetti 3.5"
Tulip Cups & Bowls, Confetti 5"